The two-hour flight to Karratha on 22 March 1992 had been routine. There was mid-level cloud around as well as a few embedded thunderstorms but that was all to be expected. The wet season was insisting on its usual hurrah by advancing a couple of low pressure troughs from the west. But it was nothing the crew and aircraft couldn’t handle. The four engine British Aerospace (BAe) 146 had landed at Karratha on schedule and the experienced captain, co-pilot and three cabin crew wasted no time on the turn-around. The cabin was cleaned, and the 51 passengers processed while the front-seaters double-checked the weather: it was much the same southbound as it had been northbound. No real surprises—just the same mid-level cloud and a few easily avoidable thunderies. At 8 pm local, about 90 minutes after last light, the BAe 146 took off for Perth. Thirty minutes later the crew radioed flight service they were maintaining flight level 310 and then followed up with an air report (AIREP) to keep the met office happy. In the AIREP was a rather bland number: minus 39 °C. This was the outside air temperature and it barely rated a mention because at minus 39 °C, icing was unlikely—especially when they were flying in clear air without a drop of visible moisture. Even if the aircraft was to pass into cloud, the pilots knew what every pilot who’s passed a basic meteorological exam knows—any moisture at this height and temperature was just harmless ice crystals. A few minutes later, the temperature was forgotten about when the crew asked for a 20-mile diversion right of track to avoid a storm that had risen into their projected flight path. 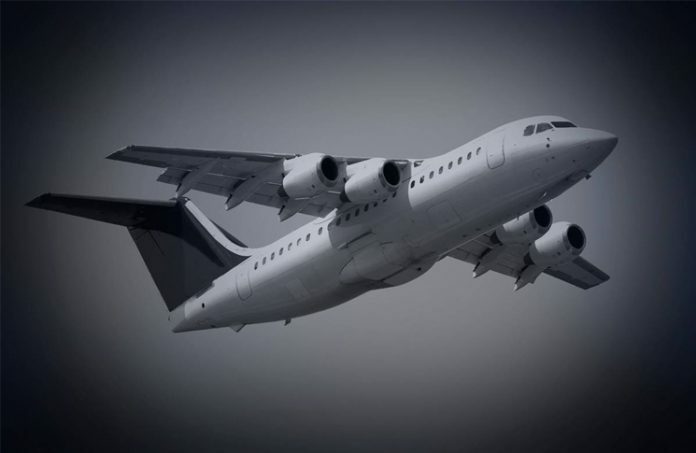 As the aircraft banked and set a new course, one of the most beautiful displays of St Elmo’s fire either pilot had ever witnessed sparkled around the wingtips of the BAe 146. The aluminium of the wings and the instability of the nearby thunderstorm was forming luminous plasma which then birthed flame-like blue and violet coronal discharges. In ancient times, when seafarers saw such a display, they considered it a good omen but on this particular night it was to be no such favourable omen. As the aircraft entered cloud-tops 20 nautical miles abeam the storm, the master warning system lit up: ‘ice detected’. This was a surprise. The crew glanced at the outside air temperature: minus 35 °C. For some reason the temperature had suddenly increased 4 degrees pushing the atmosphere closer to the necessary conditions for clear ice formation. The crew engaged engine then wing anti-ice making sure the turbine gas temperatures remained within limits as a portion of each engine’s core airflow was bled off for anti-ice. The anti-ice system rather cleverly diverted the hot engine air—known as ‘bleed’ air—onto the inlet surfaces of the engine as well as the leading edges of the wings. But this came at a cost. The diversionary air meant less core-flow for thrust. The turbine driving the compressor, known as ‘N1’, now had to work commensurately harder. Normally this was barely a problem since the engines were designed to produce enough air for pretty much all circumstances. Except this circumstance was not like other circumstances. A few minutes later the compressor revolutions of each engine began to inexplicably increase and the mach number to decrease. There seemed to be no logical explanation for the increase in N1 and the decrease in airspeed. Maybe they were icing up? They peered out onto the windshield, along the windshield struts and then rearward towards the swept wings of the BAe 146. There was no tell-tale icy whiteness on the windshield nor on the pale white leading edges of the wings. They checked and rechecked the wings in the glow of the aircraft lighting, but the pale white of the wings made it hard to get the necessary contrast to detect any visible signs of icing. In any case, the crew decided to play it safe. At FL290, as the aircraft levelled, the crew were startled to hear the distinct sound of an uncommanded wind-back on all four engines. They checked the N1 gauges. Each engine was at 75 per cent and falling. They selected thrust modulation to maximum and deselected anti-ice hoping the restoration of full core-flow might slow or reverse the deceleration, but the engines continued their inexorable decline. Even stranger, the outside air temperature had climbed nearly 20 degrees and was now at minus 22 °C. The request for further descent was cursory—the fact was they no longer had the thrust to maintain altitude. At that moment the autopilot decoupled as its internal logic decided it could no longer maintain the originally selected flight parameters with such little thrust. The speed had now decreased to 200 knots and the rate of descent had increased to 1500 feet per minute. Three of the engines were at 60 per cent N1 and the number 4 engine was startlingly close to flame-out. The captain, attempting to fault-find, retarded the number 1 engine thrust-lever towards idle but on seeing the engine nearly flame-out, he quickly returned it to match the other levers. He then pushed all four levers to maximum thrust. There was no obvious effect. The engines had negotiated terms with the atmospheric air and gone political: a lot of noise, very little power. Ignitors on all engines were selected on and the nearly failed number 4 engine was shut down. It was time for an emergency call. The crew were now in a powerless glide towards the West Australian outback and facing the very real possibility of an engines-out landing to Carnarvon. They attempted a restart on the number 4 engine and were surprised when it actually restarted albeit without any ability to accelerate. Shortly thereafter, things got more complicated. The revs of each engine were so low two of the engine driven generators skipped off line. Then the number 1 engine generator along with the hydraulically-driven standby-generator began to cycle on and off producing the nasty sound of relay-chatter. Without steady electrical power the cockpit went dark and the only useable instruments were now the independently powered standby instruments. A warning light went off. Then another. The rear cabin was depressurising. The crew quickly donned oxygen masks and deployed the passenger masks. Their night was going from bad to worse and they still had no idea why. It was a sombre scene in the glow of the standby instrumentation: captain and first officer, masked up, fixed on the dull lighting of the standby instruments while they and their 51 passengers all sucked back emergency oxygen. It wasn’t even because of something dramatic like a lightning strike—they weren’t even in cloud anymore. Meekatharra was slightly closer. With only 12 or so minutes left in the air the crew continued to work the problem even though they had no idea what the problem was. Number 1 and 3 engines were shut down and a restart attempted. Perhaps a ‘reboot’ would do something. No joy. Both engines started but failed to accelerate. At FL160 and still on their way down, the number 1 engine oil light illuminated quickly followed by the number 4 engine oil light. The revs on these engines were so low the engine-driven oil pumps were having trouble keeping the oil pressure up. The crew gave up on the engines and decided to start the auxiliary power unit (APU). At last they met with some success. The APU started and electrical power was restored to the left side of the cockpit in a relief of glowing instrument lights and indications. Buoyed by their small success another ‘reboot’ of the number 1 and number 3 engines was carried out but again it was just another shutdown and restart without acceleration or useful thrust. So, what did happen? Meteorologists would later call it—as only meteorologists can —‘Phenomenal Temperature Perturbation’. Basically, in upper atmospheric conditions associated with thunderstorms or cyclones, stratospheric air can sometimes break through into the lower environs of the troposphere bringing about a rapid downwind temperature increase. On that dark West Australian night, the BAe146 encountered just such a stratospheric break-through—initiated from a nearby thunderhead. At 20 nm from the storm the aircraft was relatively safe from turbulence and lightning but not from the rapid temperature increase. The 20-degree temperature increase put the aircraft into prime icing conditions and, with the sudden bleed air demand from the anti-ice system, meant the core-flow of the engine was compromised causing useable thrust to diminish. At the same time, engine-icing had quickly progressed to the point the engines were essentially asphyxiated. This not only reduced useable thrust to zero but also the effectiveness of the anti-ice flow with the net result being a ‘roll-back’ on all four engines. As I said at the start, we pilots would love a weather forecast that is 100 per cent accurate for those dark nights of flying. George Carlin has given us one but when we consider such unexpected cases as ‘Phenomenal Temperature Perturbation’, here’s the best we can do: Weather forecast for the rest of your career: As advertised (mostly). Then … Surprise! Just when you think you’ve come to grips with the science associated with aviation, Mother Nature sends you a little surprise just to keep life interesting! Great story Adrian, thanks.